Toyota fortuner’s heavy sales did prove one thing about the Indian market- if the product is good we don’t fear shedding those extra bucks. Toyota introduced the Fortuner in 2009 as a big expensive and premium SUV, but to everybody’s surprise the sales were humongous. All the other companies quickly identified the sales numbers and have been working extensively to dethrone the literal king of the hill-the Toyota Fortuner. 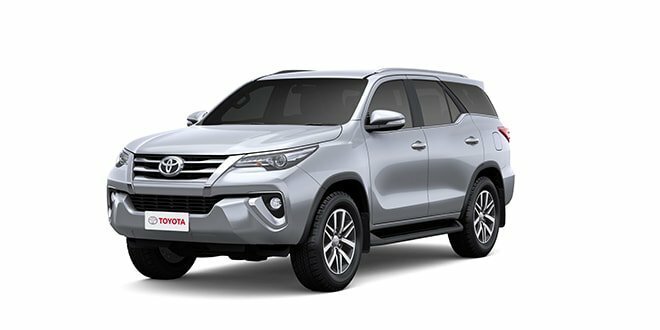 Fortuner is in the 3rd generation of its life cycle and this car definitely has what it takes to maintain the top spot in its category. Only one word for the Fortuner- Gigantic. Fortuner is so big you really should be having a good amount of parking space to park this beast. Fortuner has always been about size and presence. 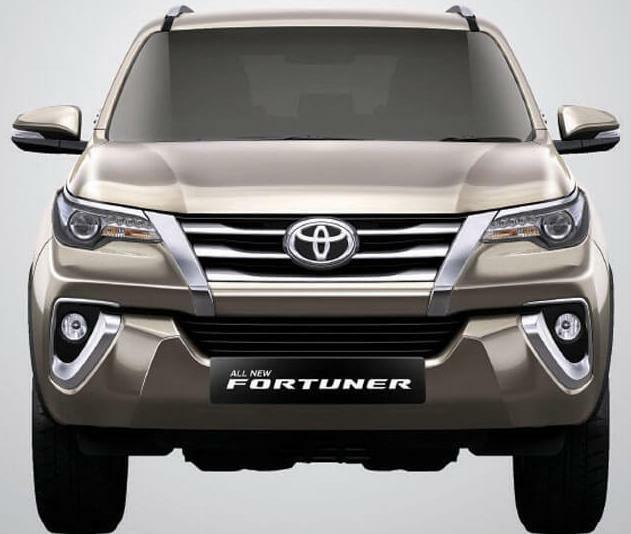 Earlier versions of the Fortuner were big but a little boxy with straight and prominent body lines. Times have changed, cars now look more futuristic and so does the new Fortuner. It is big as usual with a lot of curvy and fluidic body lines which make it look at par with modern design standards. There are big signature led headlights which make the car easily recognizable. The tail lights too look beautifully integrated with the overall design. The interiors in the Fortuner are plush and luxurious. Best part, the interiors aren’t carried over from the Innova this time, unlike the previous models. There is use of leather on the dashboard and everything you touch feels soft and luxurious. Some plastics below the dashboard feel a little bit cheap though. Big central display is present with all the infotainment options. The surprising part is that the car does not have a sunroof, not even as an option. Toyota says it is because the air conditioning vents are on the roof for the back seats which made it impossible to engineer a sunroof. Coming to the back seats. The back seats are big and comfortable with ample thigh support and head room.materials here are upmarket as well with good use of leather. Air condition vents are present on the roof for the second row. The worst part here is that there is no USB port for the second row. Not just the second row, the Fortuner has just one USB port. Just one flick of a lever and the second row seats folds up making space for entry In the third row. Third row is best suited for children. There isn’t enough leg room for taller adults. Even taller children will have trouble making themselves comfortable there. Seats here do get air conditioned vents as well. The Fortuner comes in three engine options – 2.7 petrol producing 166 bhp and 2.8 diesel producing 177 bhp. Let’s talk about the diesel engine as Toyota believes the diesel automatic variant will constitute the major part of sales numbers initially. The automatic as usual is easy to drive and gets paddle shifters to add a little fun element, but as expected it is a little underpowered. Press the throttle all the way down and the car seems to try too hard. Go above 3000 rpm and the engine sound get very loud and prominent. The manual, however, is a different story, manual engine of the Fortuner is enthusiastic, to say the least. Just a little press of the accelerator and the car lunges forward. Off Roading on either engine options is a pleasure. The car feels at home on bad roads and extreme terrains. The best part is you can corner the car at speeds and it surprises with very less body roll. The steering is precise and provides enough feedback to make the handling perfect. Toyota has worked real hard to boost the image of it’s Fortuner. And it is really a successful effort as well. But now-a-days it is being witnessed that Fortuner’s pie is being slowly snatched by JEEP. Again apparently Change is the only Constant. Hi, Will. We are using wordpress for all our domain, hosting and website development and we find it very easy. But for low budget and other cheap options you can go for godaddy sites, google sites and wix builder. Thanks for headsup. we will be rectifing it soon. thanks a lot for showing your interest in our blog. stay tuned with us and support more!